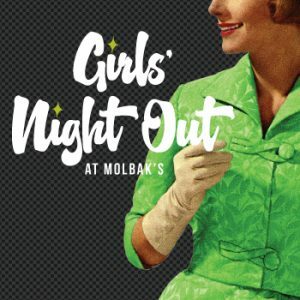 Gather up your girlfriends and join us for a fabulous night of shopping, laughter and fun at Molbak’s in Woodinville – all to benefit NW Children’s Foundation! The store is all yours on two nights for this private event – November 15 and 29. Browse festive displays, enjoy tasty samples and enter to win fabulous prizes. Best of all, get your holiday shopping done and save 10% on everything in the store. Tickets are selling fast for this annual extravaganza, so get yours today! Purchase tickets now at Molbaks.com.